While this alt-fizz has recently become hip, it is actually the oldest style of sparkling – méthode ancestrale – rebranded. Lightly bubbly (“pétillant”), often (but not always) cloudy, sometimes sweet, at its best it is deliciously fresh, pure and shameless summer drinking. 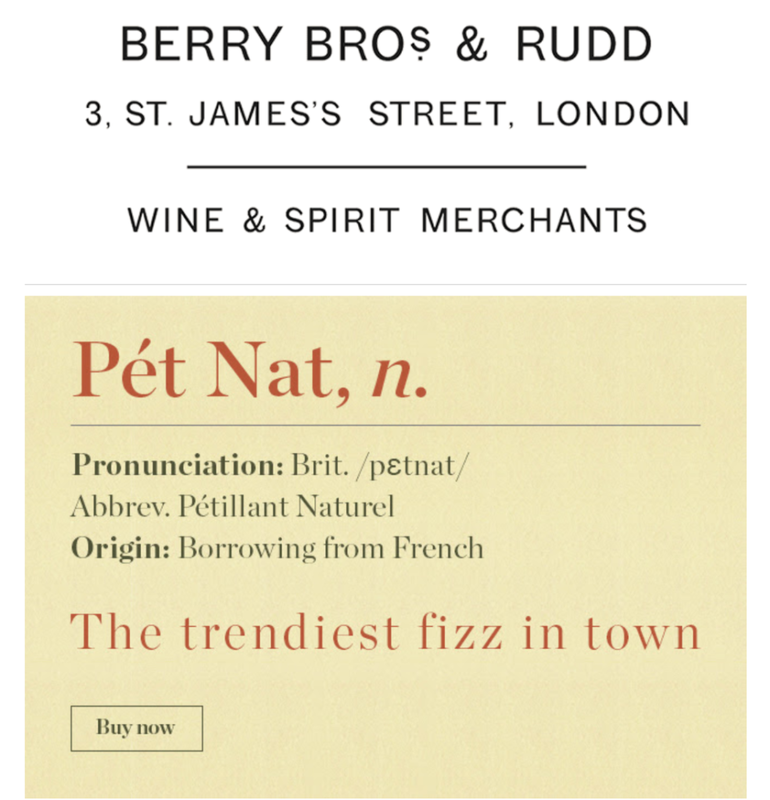 Try Birichino’s play on the trend – its deliciously aromatic Pétulant Naturel – or read more about this fizz on the Berry Bros & Rudd blog.